Collecting German Empire stamps is very popular worldwide. The empire also provides us with a multitude of different ephemeral items of that era, with some of them being even more interesting and occasionally more valuable than the imperial stamps and covers themselves. What exactly is the definition of "ephemera"? Philatelic ephemera refers to paper documents that compliment a stamp collection or stamp exhibit. These documents can be posters, poster stamps, philatelic labels (Cinderellas), historical documents, picture postcards, admission tickets, etc., which can be used to enhance and beautify a stamp collection. If the philatelist doesn't mind having a few "rather thick" album pages, these ephemera items can even include contemporary coins, currency, commemorative medals, picture postcards, etc. I've actually been a coin collector / numismatist for about the same time that I've been a stamp collector / philatelist (almost 60 years). I used to have US, Canadian, and British type and date sets, beginning with the early 19th Century, but my later focus was on Roman Imperial Coins. I lost interest in the hobby, shortly after the 1980 recession and the advent of the era of "slabbed coins" began. Though I have very little of my original coin collection left these days, old addictions can sometimes be easily rekindled. I believe I've done just that to myself in the recent months! 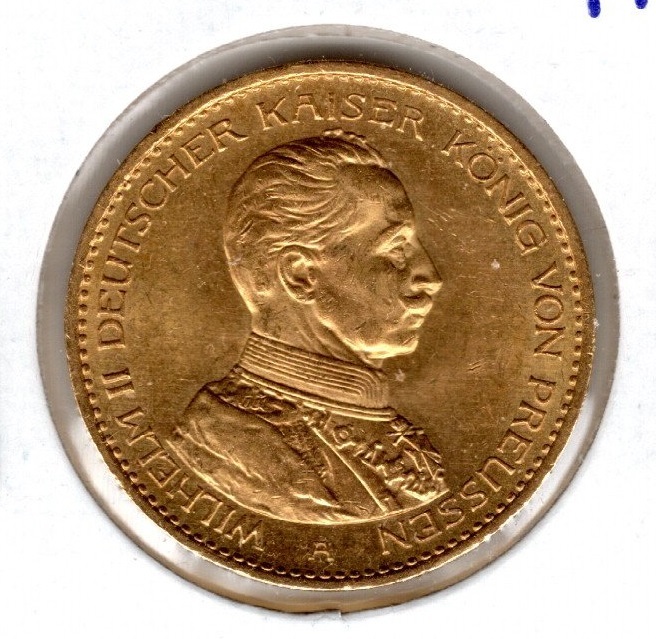 During 2018, I came up with the idea that having portrait 20 Mark gold coins of the three Kaisers would be a great ephemeral enhancement to my specialized German Empire stamp collection. I began working on my project this past Summer and completed it in December. As with many other countries, gold coins saw very little use in commercial trade, so most of the 20 Mark coins available on the market today are in very nice grades, usually EF or better. At today's price of gold, the prices for nice EF-AU coins range from about $400.00 to $450.00 each. 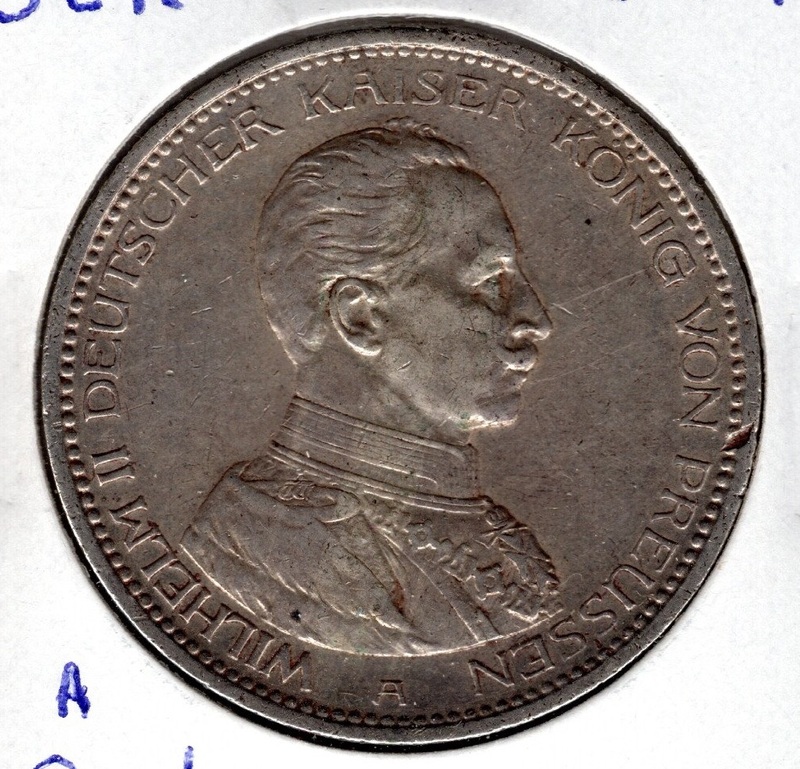 One may note that the inscription on the coins above includes "DEUTCHER KAISER KONIG V. PREUSSEN" (German Emperor King of Prussia). The German emperor was also the King of Prussia, with Prussia being the largest and most dominant of the Germanic kingdoms / states. 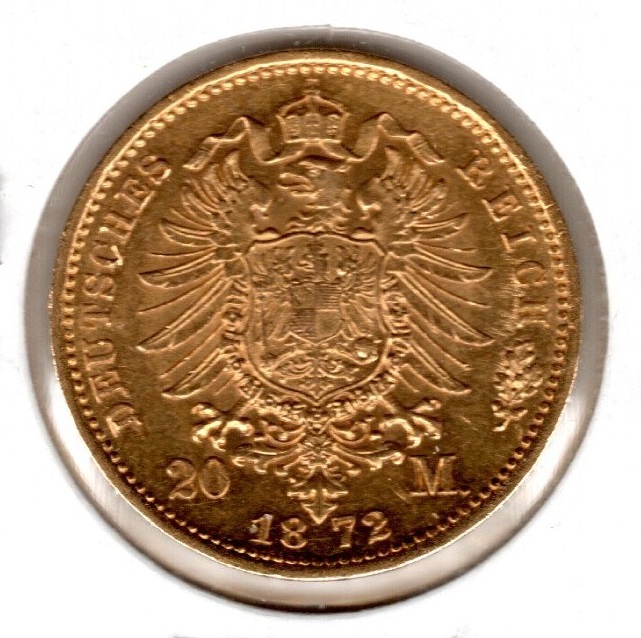 When searching the internet for these coins, they are referred to by dealers as both German imperial coins and Prussian coins. 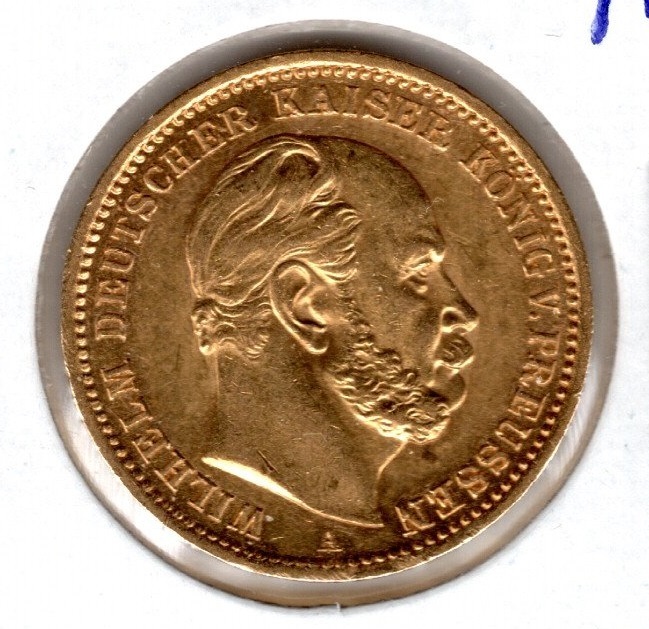 The portrait coins of Kaiser Wilhelm II, struck between 1888 and 1913, feature the same type of right-facing profile shown on the other two coins above. 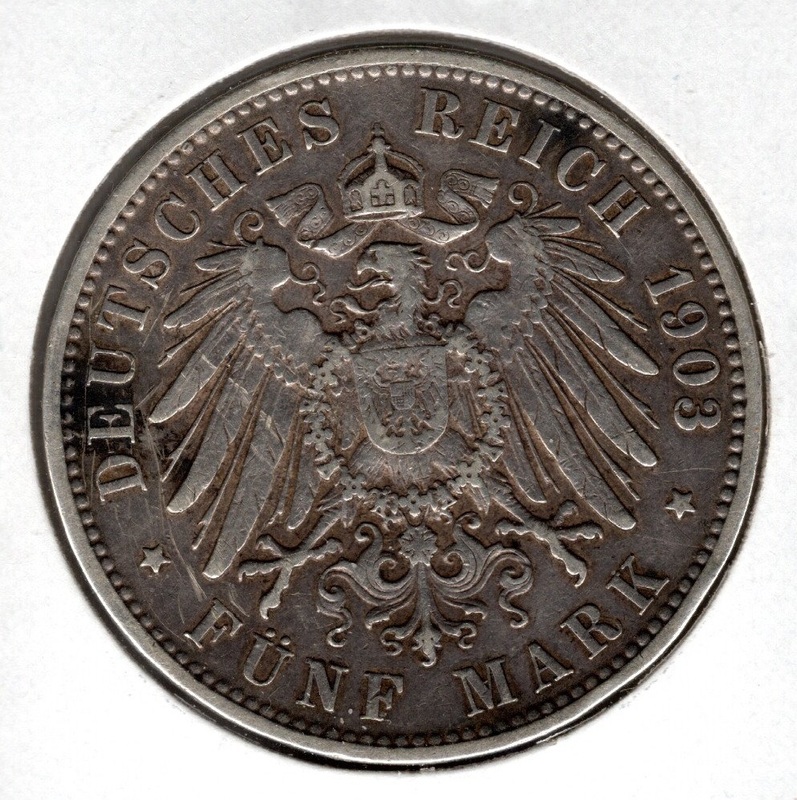 The military bust coin shown above, struck between 1913 and 1915, was actually a commemorative, issued to celebrate the 25th Anniversary of the Reign of Wilhelm II in 1913. There are also 10 Mark gold coins with the same designs. And then, after I was done with the gold coin ephemera idea, I started browsing the silver-dollar / crown-sized silver coins on a popular online auction network. I now have silver 5 Mark coins of Wilhelm I and both portrait types of Wilhelm II. For collectors with more limited budgets, the silver portrait coins may be a better option. These coins actually saw day-to-day use in commercial transactions, so they are available in circulated condition. VF or better examples of them are usually available on the internet for prices ranging from about $30.00 to $50.00 each. The problem in collecting the three Kaisers in silver is the portrait 2 Mark / 5 Mark coin of Kaiser Friedrich III. 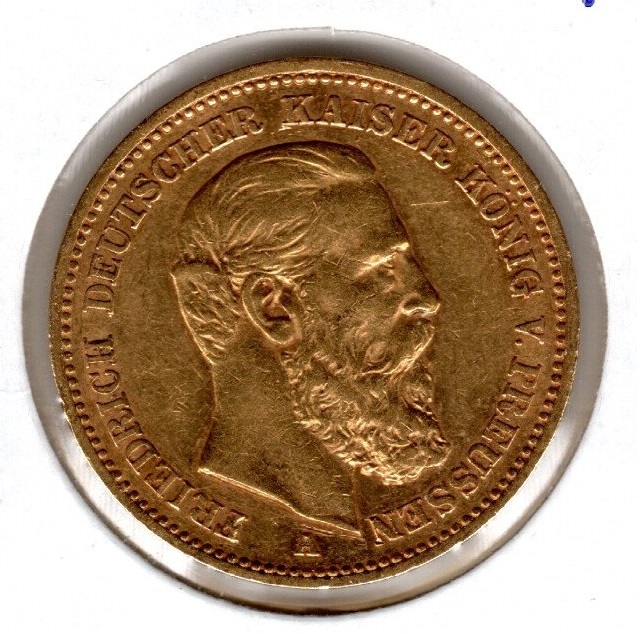 Due to his very brief reign and the fact that people saved the coins as mementos instead of using them for commercial transactions, most of the available portrait 2 Mark and 5 Mark coins of Friedrich III are in very high grades (EF or better), and in some cases (uncirculated grades), their prices are far greater than those of the 20 Mark gold coins in the same condition. 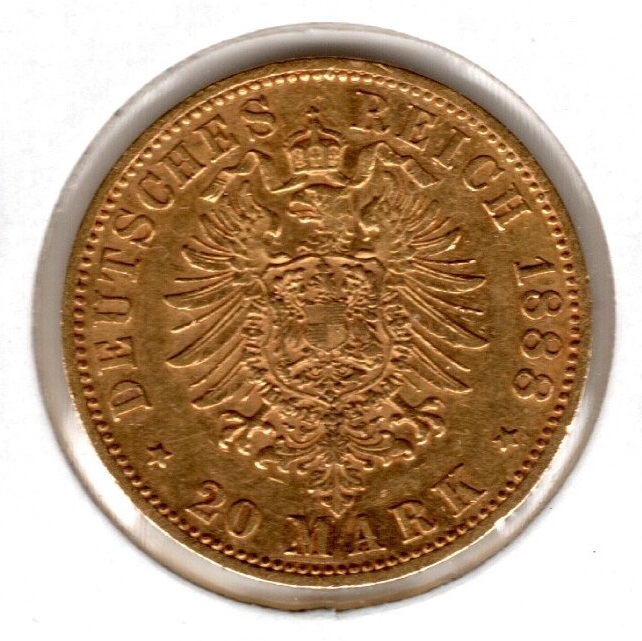 And the portrait type coins of the German Empire do not end here! 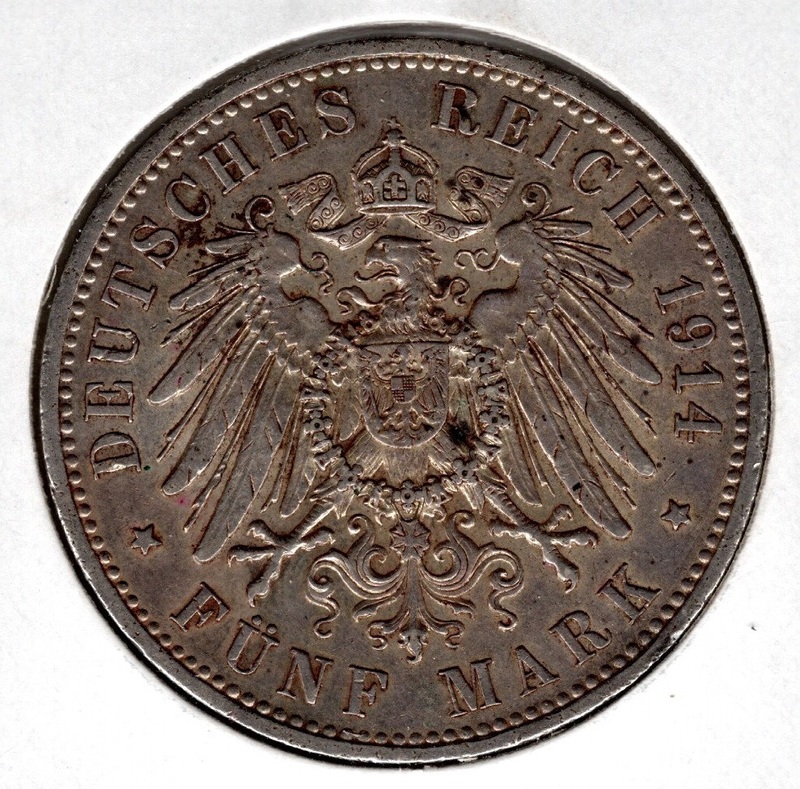 The imperial coins previously shown were issued for the Kingdom of Prussia. Each of the member monarchies / states of the empire also issued their own silver and gold coins. The obverses of these coins featured the portrait and titles of their monarch or the coat of arms of their city / state. The reverses of all these imperial coins were basically identical to those issued for Prussia. Of course, getting an example of a post-unification / post-reform coin of each one of these places would be prohibitively expensive, even for the most dedicated numismatist! 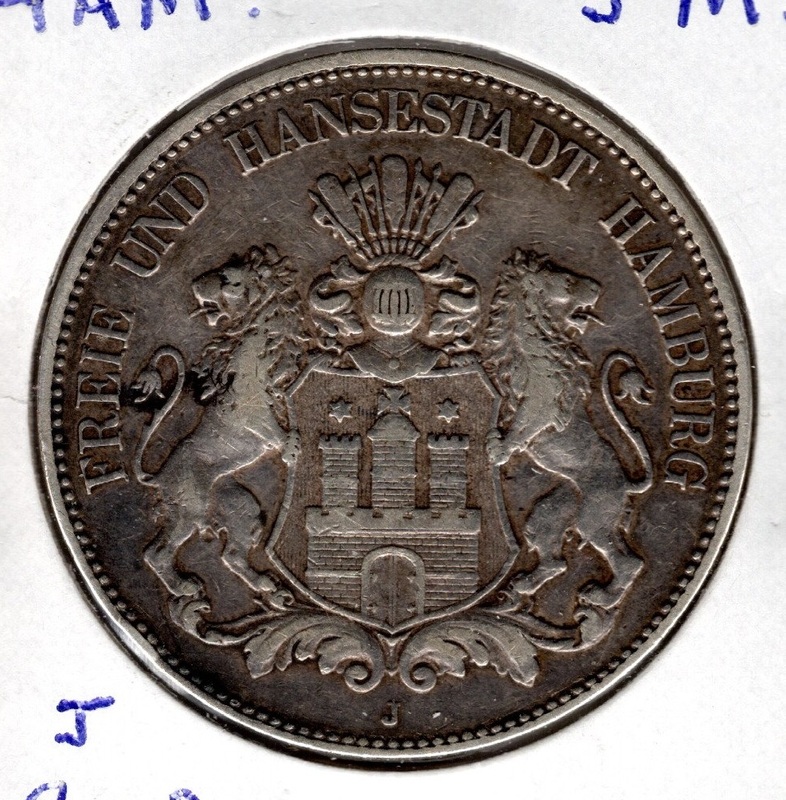 For the stamp collector, looking for ephemera for their German States / German Empire collection, the silver post-reform coins of Baden, Bavaria, Hamburg, Saxony, and Wurttemburg are reasonably affordable. I may get there eventually, but I'm in no hurry at this time!